Freedom Model Retreat House is the best alternative to alcohol rehabs. Many people are unsure as to what to think when they hear about residential alcohol rehabilitation facilities. If you are looking into a program, you are going to want to know that you have chosen the best facility possible. You want to know that every aspect is covered through the residential program that you choose. An effective treatment plan in inpatient alcohol rehabilitation facilities will include alcohol education. This means that you will learn about the effects of alcohol and what drove you to drinking. Being educated about your disease will help you to overcome it. A residential alcohol rehab facility will teach you that because alcohol addiction is a disease, those who are afflicted can not truly be held responsible for the havoc they wreak on their jobs, personal lives and the lives of those around them. The Freedom Model Program does not advocate belief in the disease of addiction myth. 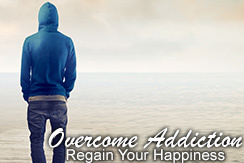 There is no disease of alcoholism; there is no disease of drug abuse; and, there is no disease of addiction! This is just one of many areas where the Freedom Model Program departs from conventional alcohol rehab programs and why the Freedom Model Program is significantly more effective than the conventional alcohol rehab treatment model. Teaching our guests the need for personal responsibility for their actions rather than making excuses for poor behavior and choices, is the cornerstone to rebuilding their life. A disease by its very nature is out of the person's control. This is simply not the case with substance abuse. Substance abusers make the choice to abuse alcohol and drugs. Choice is a behavior, not a disease. Unlike conventional residential alcohol rehabilitation facilities it is important to know what the Freedom Model Program is not: it is not treatment; it is not rehabilitation; it is not psycho-babble; it is not spiritual fantasy; it is not counseling and it most certainly is not 12 steps. It is, first and foremost, an educational experience leading to better choices in the future and a more positive lifestyle.